Not to be combined with any other offer, coupon, special or discount. 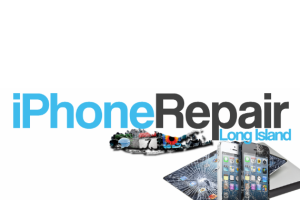 iPhone Repair Long Island, was originally founded in 2008, doing repairs for the iPhone 3G. In 2011 our first location in Syosset opened its doors to the public and we were officially the first on Long Island to offer a repair service of this type. The owner has over 13 Years of mobile repair experience since the Nextel days. In fact we have been around so long, we also offer the fastest repairs around due to our volume of customers, and long term experience in the field. In Summer of 2014 we opened our second store in Massapequa, on Sunrise Highway. We will continue to grow and make repairing your mobile device as easy as possible, at a competitive price with an unmatched level of customer service in our industry. Our yelp tells no lies, with the most positive reviews of anyone in this business on Long Island. iPhone Repair Long Island doesn’t just repair the iPhone. Oh no, we aim to be the best in out of warranty device repairs for products from Apple, Blackberry, HTC, and More. We offer Fast, Reputable repair and parts services to our Long Island customers. We have many years of experience with assorted electronics repairs, and have been fixing the iPhone since the beginning, and will do all we can to service you and repair your device with the knowledge and skill we possess. Whether it is a diagnosis needed to figure out what is wrong with your iPhone, Blackberry or other device, we are here to help. It does not matter how older your device is, we have fixed all of them at some point or another. We offer same day services on most repairs, so you do not have to wait days to get your device back. Sometimes you may need to leave it over night for such repairs as Water Damage, and if we need to special order a specific part for you. To ensure our customers are completely satisfied with the repair we perform, we offer a 90 Day Warranty on all services rendered. So if any problem possibly arises from the item we replaced, or repaired, we will fix it for you in a prompt matter. We have less than .01% of customers ever have any kind of issue after a repair is performed. That pretty much translates into, we have had almost no customers actually have to use our warranty. Which is a good thing! We offer Repairs on Broken iPhone 4 Screens, Busted iPhone 3G and iPhone 3GS, Broken Blackberrys, and much more. We now offer repair on the iPad and most HTC Android phones!